The most ambitious meeting of Scotties so far – 100 miles from London – proved to be a little overwhelming for our members on July 8. 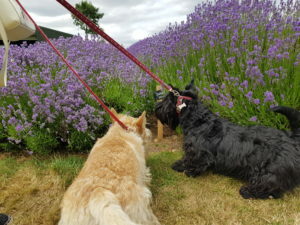 But for those of us who braved it, the stunning and vibrant views, just a week before harvesting, were to behold and as for the pooches, it is fair to say they had a myriad of fragrances to choose from. Our two Scotties, Pikush and Pudding, were not keen to leave at home time! But they showed their gratitude by not fouling until totally outside of the plantation area. It's not quite heather is it? 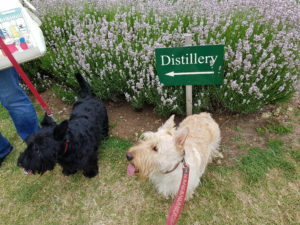 We had a great welcome from the team at Snowshill Lavender Farm in the Cotswolds just south of Broadway and the venue earned a major gold star that it welcomes dogs so long as they are kept on their lead. The venue also offered water bowls for dogs. 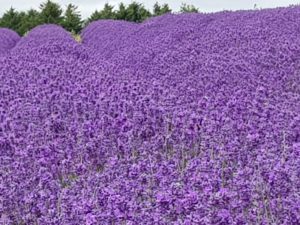 Lavender isn’t a Highland shrub, but the boys seemed to stare at it as though it reminded them of their ancestral heather in Scotland. 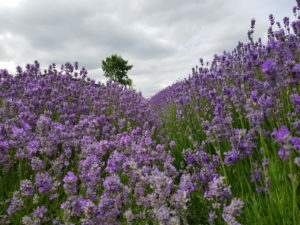 The fields at Snowshill are well maintained and offer a wide variety of Lavenders in every shade from snow white to dark purple - some of which are also available to buy as shrubs or as soaps and oil products the farm makes on site. The weather worked well too – sunny but not oppressively hot. Okay, we are not going to rub it in any more than that! A lot of our members expressed interest but could not make it in July (when the farm advised us was the optimal time to visit). A few of our members also did not have transport, although others volunteered to help out. And many of our members are yet to discover WhatsApp – a totally free messenger service on which we launched in June a London Scottie Club group to aid updates on events as well as the means for you to reach us real-time in the case of someone getting lost while on a walk with us. But the first takeaway from the event last month was that we may need to invest in a minibus for ambitious out of town visits – which will recommence next summer. For the autumn and winter season we will be closer to cosy home in London. If we do opt for a minibus, it will be on the basis of charging a fee for transport which will need to also cater for the needs of our canine pals. But that is something we have a year to research and get right! Owing to summer holidays we are skipping August and will next meet in London on Saturday September 2. More details to follow for our Full Members. This is a cool app you can download to ANY smartphone. It is free to use and you just register with your mobile phone number. You don’t need a Facebook account but you (probably) need an email address to help verification. It is a powerful tool for us to communicate with you from time to time about events and it is only available to Full Members of the London Scottie Club. It is free to become a Full Member too – you just need to set up a completed profile of you and your dog(s). You can complete the form to become a Full Member by clicking here. The reason why it is important is that in future we won’t be releasing the full details of our meetings to the general public. Even Associate Members, who only sign up to our email newsletters, will not get venue details or precise instructions. They will, however, still get updates about the website and news reports like this one delivered to their inbox. And Associate Members can always visit our website like any members of the public, to view the dates our next meetings. The reason for the change is that we value the safety and privacy of our members at our events. We want everyone to continue to enjoy meeting up with familiar faces in the knowledge everyone there is genuinely interested in Scotties! London Scottie Club is not a free-for-all but a thriving community of like-minded dog owners and their Scotties. So details like venues and special information about parking or what to bring will be absent from the events you see on our website. For the crucial details you will need to be a Full Member. WhatsApp will contain the details sent in advance of a meeting. 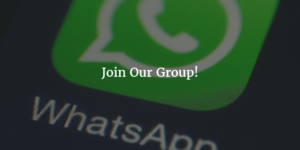 If you don’t have a smartphone or otherwise opt out of joining our WhatsApp group, we may still email you the details in advance but we cannot promise this. Moreover, by not joining WhatsApp you will lose the valuable tool to be able to message us back should you be on an event of ours and need assistance. So it’s smart to join our WhatsApp group! But the choice is ultimately yours. If you don’t currently have a Scottie but want to join us you still can! You still complete the Full Membership form online but you don’t complete questions about your dog. We will review your application and may ask further questions before granting Full Membership. But we certainly welcome new members including those currently without a Scottie of their own. We also welcome your feedback. So drop us a line if anything above is unclear and we will try to help.